Interestingly, buildings consume more than 40 percent of the electricity produced across the globe. While solar panels can curb that use, their bulkiness and size (not to mention visual aesthetics) make it hard for tall buildings in urban centers to tap solar's true energy-saving potential. So experts at the U.K.'s University of Exeter came up with a solution: solar power units encased in glass blocks, which can be used like windows and seamlessly integrate into a building's facade. Called Solar Squared, the blocks are the brainchild of several Exeter researchers – including entrepreneur and solar scientist Dr. Hasan Baig and renewable energy scientist Professor Tapas Mallick – who created a spinoff startup called Build Solar to market and produce the pioneering product. The blocks are designed to fit seamlessly into either new buildings or as part of renovations to existing buildings, and function like windows; sleek, light-radiating, and unassuming. But inside, the blocks have "intelligent optics" that concentrate incoming solar energy onto small cells, creating on-site electricity and, subsequently, net-zero energy buildings. Some of the buildings may even have an abundance of electricity, which can be stored or used for other functions. The Solar Squared blocks are also being designed to have better thermal insulation than traditional glass, reducing the need for energy-depleting climate control, and are cost-effective once the amount of money saved on energy bills are factored in. “We are aiming to build integrated, affordable, efficient and attractive solar technologies, which have the smallest impact on the local landscape," Professor Tapas Mallick, chief scientific advisor for Build Solar, said in a press release. "It’s an exciting venture and one that should capture the imagination of the construction industry, when looking to develop new office blocks and public buildings or infrastructure projects such as train stations and carparks." The glass blocks are similar in philosophy to the Tesla solar roof tiles, which look like regular roof tiles and integrate seamlessly into the facade of a home. But the Tesla tiles are pricier than the regular panels perched atop homes. 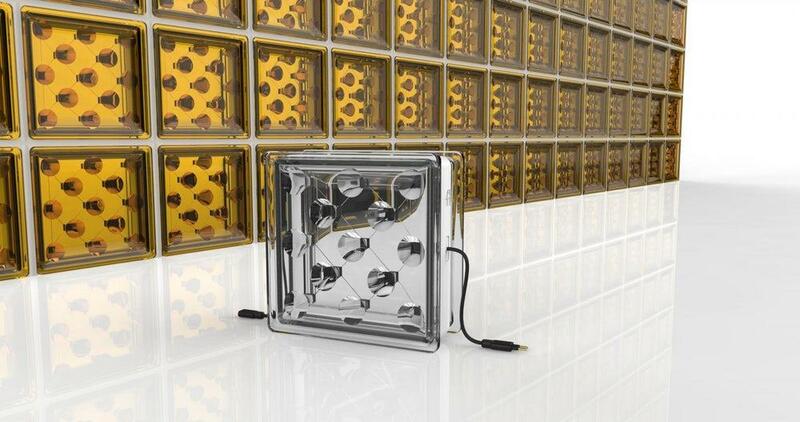 Plus, unlike Tesla's roof tiles, the Solar Squared blocks are built to power an entire high-rise.